The benchmark BSE Sensex recovered about 224 points and the NSE Nifty regained the 10,200 mark in early trade today on fresh buying by investors amid a firm trend in Asian markets. The 30-share barometer, which had lost 194.39 points on the first day of Samvat 2074 in special ‘Muhurat’ session on Thursday, was trading higher by 223.86 points or 0.69 per cent at 32,613.82. All sectoral indices led by oil & gas, teck, metal and IT were trading in the green with gains of up to 1.07. The NSE Nifty was quoting 61.95 points or 0.61 per cent higher at 10,208.50. Brokers said emergence of buying by investors on hopes of encouraging quarterly earnings from some more blue chip companies and a firming trend at other Asian markets as Japanese Prime Minister Shinzo Abe’s landslide in a weekend snap election influenced sentiments here. Besides, unabated buying by domestic institutional investors (DIIs), too supported the rebound, they added. The big gainers were Adani Ports, Bharti Airtel, Hero MotoCorp, Reliance Industries, Hindustan Unilever, Sun Pharma, TCS, SBI, ICICI Bank, Coal India, Cipla, Tata Steel, Power Grid and Wipro, gaining up to 2.33 per cent. Japan’s Nikkei surged 1.02 per cent, while Shanghai Composite Index up 0,.02 per cent in late morning trade today. Hong Kong’s Hang Seng, however, was down 0.66 per cent. Meanwhile, the US Dow Jones Industrial Average rose 0.71 per cent to fresh record close in Friday’s trade. 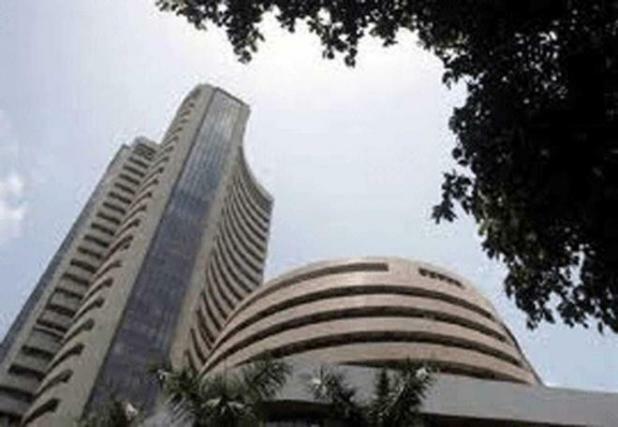 Be the first to comment on "BSE sensex bounces 224 points in early trade on positive Asian cues"